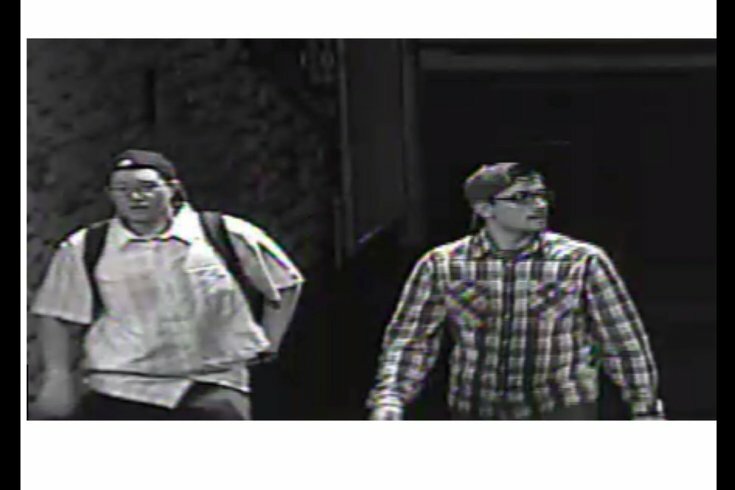 Penn State Police released a photo of two men Tuesday who they say gained unauthorized entry to Beaver Stadium initiating an investigation into a security threat. Surveillance video captured the two college-aged men walking in the football stadium Saturday around 4:15 a.m. hours before the school's game against the University of Minnesota. Prior to the game, police warned fans that a potential threat was made against Beaver Stadium. "Several exhaustive searches" were conducted, but nothing was found to indicate a potential risk. The game started as scheduled at 3:30 p.m. Anyone with information is asked to contact University Police at (814) 863-1111. Authorities are offering a $1,000 reward from Centre County Crime Stoppers for information that leads to an arrest. Tips may also be submitted anonymously here.